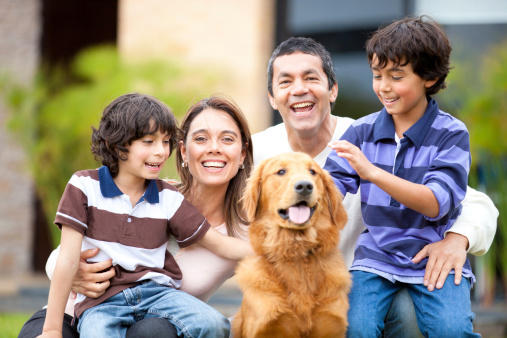 Pets and children go well together, but before you rush out and buy a new friend for your kids, you need to think about whether a) you have room in your life for a pet and b) you can afford the bills associated with having pets. So assuming that the answer to both questions is “yes” here is a list of pets you might wish to consider and reasons why they could make the perfect new friend for your family. Dogs make wonderful pets, but you have to be prepared to put in a lot of time in order to ensure they are happy and healthy. There are many different breeds of dog to choose from, but cross-breeds often make the best pets because they are less likely to have the health problems that affect pure bred animals. If you are an experienced dog owner, you could adopt an adult dog from a shelter, but if you want a cute puppy instead, check out websites like Little Puppies Online. Cats are very independent and therefore good pets for busy families where nobody is home during the day. Some cats prefer being outdoors most of the time, but cats, like people, are all different and some prefer sleeping on a bed or lap all day instead. Children love kittens, but you should be very careful with young children because kittens scratch. Rabbits are easy to look after and will happily live outside as long as they have a warm and cozy hutch. If you want to teach your children some responsibility, a rabbit is a good place to start. Let your child feed, water and clean out the rabbit (under supervision of course). The more a rabbit is handled, the tamer it will be. Guinea pigs are smaller than rabbits, but make good pets for younger children because they are quite robust and can live indoors. If handled regularly, guinea pigs are happy to be picked up and fussed; they are also unlikely to bite. Gerbils and hamsters don’t take up a lot of room and can be kept in a corner of a room quite happily. The main disadvantage with these creatures is that they are nocturnal, so if kept in a bedroom they might keep your kids awake. Goldfish are a very low maintenance pet. All you need is a tank and a filter to keep the water nice and clean. Goldfish don’t eat a lot of food and you are unlikely to run up huge vet bills if your fish get sick. They aren’t the most entertaining of pets, but if you go away regularly, a block of long-life fish food will be enough to keep your fish happy and healthy. Reptiles make wonderful pets for older children. Bearded dragons are fairly easy to keep, but make sure you read up before you buy, so you know how to look after your new pet. Whether you go for morkie puppies or ragdoll kittens, do make sure you are 100% committed to the idea of owning a pet because pets are for life, not just for a month or two.